Looking to start your own business in game hosting? Don't want to deal with infrastructure and development yourself? You've come to the right place! We offer over 125 in over 20 locations worldwide. We offer some of the best game servers, web hosting and virtual private servers on the market with a low latency infrastructure solution no matter where you players may be! All our locations and servers are DDoS Protected and run on high-performance hardware. We've designed a unique, game control panel intergrating the features our clients needed and requested. The game panel is fully white-labelled and we provide you with features to brand it how you like, all our game configurations are highly optimised to provide maximum performance for hosted game servers. Don't worry about infrastructure, game costs or development, we handle all that, you just handle the customer support side. 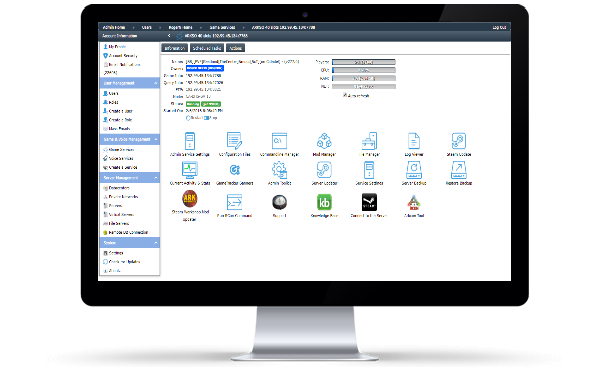 You will have full control and access over your cliebts through the game control panel as well as full statistics and FTP and control panel theme. We provide all the game templates, infrastructure so you only need to concentrate on your clients, we can even host your reseller website. Our servers include the latest and fastest SSD technology as standard and up to 5Ghz speed processors. There's no catch to game server hosting with us, simply sign up with us and let us know what gameservers and game hosting locations you require and we'll give you a quotation based on your budget and specification. We recognise there's no one size fits all and you may only want to host a few of our games we provide. Checkout below, the full list of game server titles we can provide to you as a reseller with us. Showing 125 Game server titles. Is the game you require not listed? Send us a message to support it! Citadel Servers offers Network coverage worldwide, providing the very best network coverage in over 20 locations, Connect to your players all around the world, with a low latency infrastructure solution no matter where you or your clients players maybe! Are you a new Reseller? Join our Reseller program here! Not sure what we sell? Take a look at our website for the services and products we sell, such as game hosting, virtual private servers, webhosting and more!